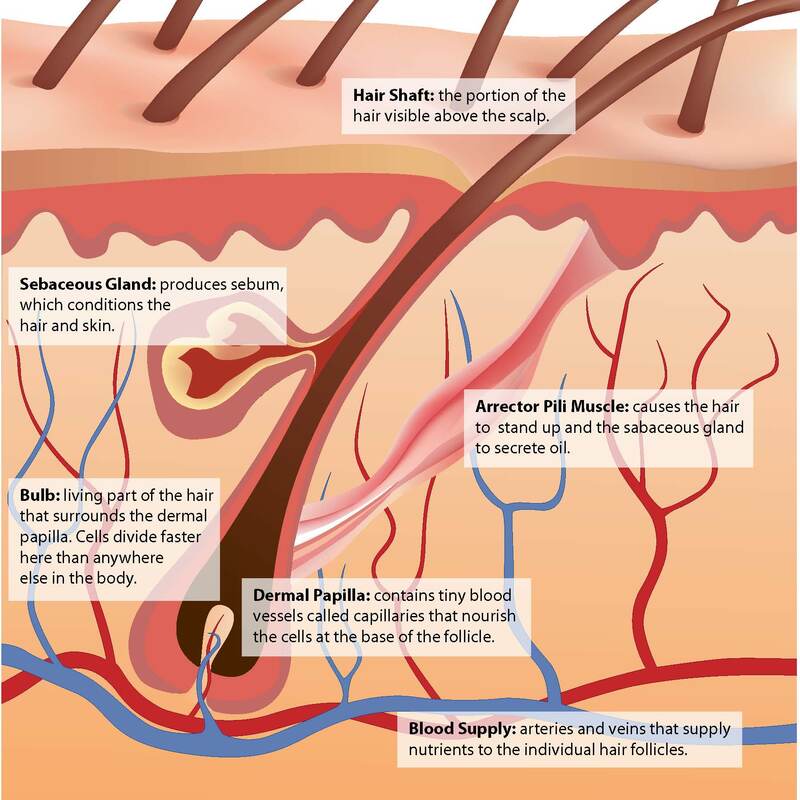 Before we do your Hair Transplant let’s share some basic knowledge of hair anatomy. Scalp Anatomy Relevant for Hair Transplant: Our scalp has five layers, which are the skin (where hair follicles grow), connective subcutaneous tissue, galea aponeurosis, loose connective tissue, and periosteum over the cranium. 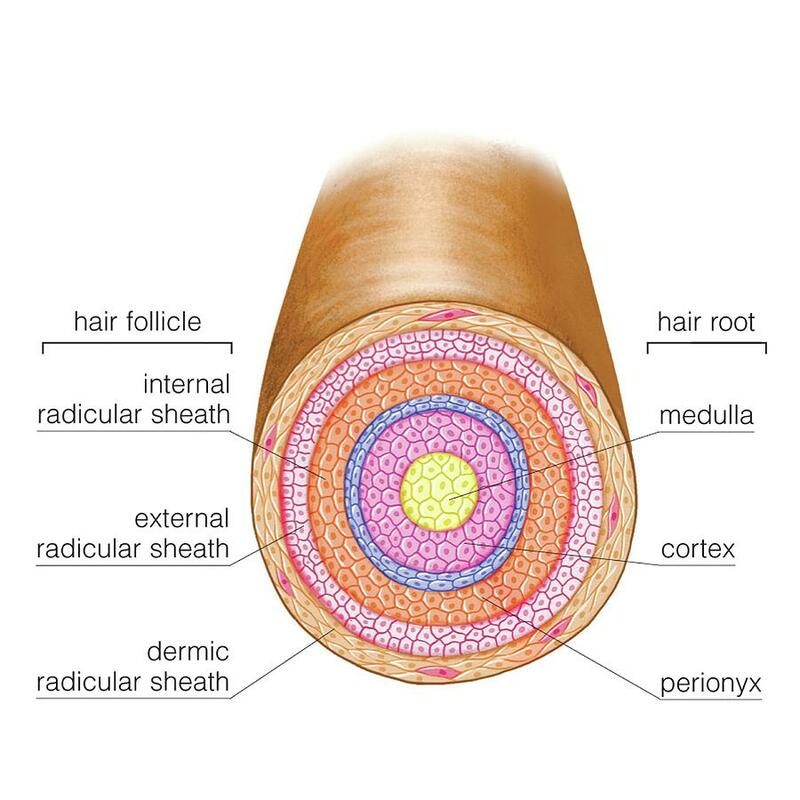 Graft/Hair Follicle:Hair Anatomy,our scalp has five layers . The skin is the layer of scalp in which we do hair transplant. Results of hair transplant vary depending upon how deep the hair follicle are. Depth of Graft/Hair Follicle depends upon the stage of Hair cycle. Hair fall leaving its root behind and from this hair root new hair follicle grows. If new hair does not grow over this area then we do hair transplant in dwarka. At our hair transplant centre in dwarka we have noticed that there is thinning of the outer two layers in the areas of hair loss. Hair Transplant (how deep to work): Blood supply to the hair follicles come through the vascular channels. During hair transplant one has to stay superficial. This avoids compromising hair density at the donor area during hair transplant. Deeper penetration might lead to reduced scalp sensation after hair transplant. Scalp hair follicles mostly do not grow individually; they are often found to grow in tiny follicular-unit bundles which are called Grafts. Grafts usually contain 2-3 hairs and occasionally 1 or 4 hairs. At our Hair Transplant Dwarka lab we have found that an individual graft contains on an average 2-3 hairs. In our Hair Transplant Dwarka lab we noticed that there are few areas having stem cells in the follicular unit. While doing Hair Transplant in Dwarka centre try to extract maximum number of live stem cells from donor area. During hair transplant in Dwarka we transplant maximum number of live stem cells to the bald areas of scalp. The cuticle – the outer layer, thin and colourless layer of hair. The cortex of hair which contains melanin, which is responsible for hair colour. The medulla layer of hair which is the innermost layer. This reflects light from the hair. Anagen phase: during ANAGEN phase there is active hair shaft production leading to increasing length of hair. Catagen phase during which the hair follicle undergoes regression. Telogen phase which is the resting phase of the hair cycle. In this phase there is involution of hair follicle. Many growth factors play an important role in the life-long cyclic transformation of the hair follicles by functioning as biologic switches controlling various phases of hair growth. The main growth factors involved in the growth of hair follicle are vascular endothelial growth factor (VEGF), epidermal growth factor (EGF), insulin 1-like growth factor and fibroblast growth factor (FGF).